It has gotten to the point around here where the clutter truly is starting to take over. I'm pretty sure that one day I'm going to come home and the locks will be changed and when I peer inside the window, the piles of stuff will be sitting there laughing at me. The disorganization in our lives is definitely a source of stress and, directly or indirectly, the cause of a good portion of the arguments that occur between my husband and I. "Where did you put it?" "I don't know, go dig on the counter over there." "It's not there, did you move it?" "Maybe. I don't remember, but it shouldn't have been left sitting there in the first place..."
A major issue that I have is the fact that, up until recently, my brain has been my main source of keeping tracking of everything that is going on for myself and my family. Floating around in there are the appointments, play dates, phone calls I need to make, the emails I need to return, reviews I need to do, upcoming events... the list is pretty long. And my brain was feeling pretty stretched trying to remember it all. Thankfully, in swooped Christie Love from Simple Organized Sanity to come up with a way to find the balance and organization that I so desperately needed and wanted in my life. Simple Organized Sanity (SOS!) is a mom-owned business with a simple and clear mission: to help moms and families save time, money and energy by becoming more organized. Christie isn't looking to get moms to completely overhaul their lifestyle, she is instead helping them find the solutions that will make a difference for each individual's needs to ease the stress that goes on in our daily lives. A mom herself, Christie is able to relate on a level that other professional organization services might not. Instead of traditional organizers who try to make all families fit into the same mold, Christie uses her expertise and experience to fuel her passion to help other moms enjoy life with less stress, a home with less clutter and a family with a little more time for each other. One visit to Simple Organized Sanity and you'll be amazed at all of the options that are available. From checklists for planning the best birthday party to a babysitter information sheet to a household paint color chart (is the hallway "sand" or "stone"? I can never remember) to a one week menu sheet so there is never any wondering about what is going to be for dinner when 5 o'clock rolls around... Simple Organized Sanity has a way to clearly organize all the aspects that you need to run your family. So what did Christie and SOS do to help the chaos in my home? 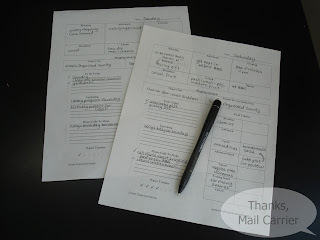 Simple Organized Sanity offers specialty planner sheets that are the perfect thing to order, download and print to allow people like me to view everything that needs to be done on paper instead of holding it in their mind. No matter if you are looking to keep track of specific items such as your weight loss goals, prayer list or homeschool lessons or life as a whole with The Ultimate Planner (shown at right), Christie has made an option for every mom's needs. However, she also realizes that all moms have individual needs and might want to customize a planner for themselves, which describes me perfectly. I was able to browse through Christie's informational videos (image shown below) to get an idea of all that SOS truly offers. 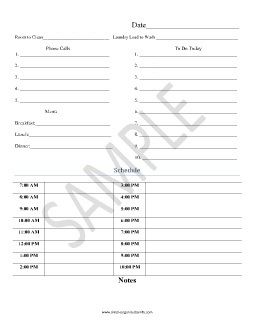 From there, I had a short phone call with Christie to discuss what I needed to organize my own life and, hardly any time later, the first draft of a planner sheet just for me showed up in my inbox. Christie really had listened when I told her about my daily life and the areas that I struggled to keep organized as well as what I liked and disliked about her premade planner sheets. I simply emailed back the few things that I wanted changed and she immediately made the alterations and sent me a second draft. Christie had so many great suggestions about how to use my planner sheet (for example, the various printing and binding options) and, although I have not yet printed enough copies to fill a binder, being able to write down my schedule, our meals, my blog posts, etc has been a welcome change to the disarray that had previously been my way of thinking. I love checking items off as they are completed and being able to look back to see my accomplishments or ahead to see what it to come. I had been forgetting to call Big Sister E's preschool for weeks because each day I would think about it during a time that was inconvenient and then not remember until it was too late... however, the first day that I began using the planner sheet Christie designed for me, the call was made. Definite thumbs up! One lucky person will win a custom designed planner (including phone consultation to personalize it) of their own! To enter to win: Visit Simple Organized Sanity and tell me which item(s) would most help with organization in your life. 1 Extra Entry (per method) if you follow Simple Organized Sanity on Twitter, become a fan on Facebook and/or follow with SOS Organize blog with Google Friend Connect. 1 Extra Entry if you RSVP to attend the #GetOrganized Twitter Party on May 5th from 8:30 - 9:30 pm EST. 1 Extra Entry if you tweet about the upcoming #GetOrganized Twitter Party by copying and pasting the tweet below and leaving me the link. Tweet daily for an extra entry every day! 3 Extra Entries if you blog about this giveaway linking back to Thanks, Mail Carrier and Simple Organized Sanity. Please leave an address where it can be found. Giveaway will end on May 13th at 11:59pm CST. Do me the favor of leaving an email address or making absolutely sure it is visible in your profile, I have to have a way to contact the winner. The winner will be chosen by random.org and announced here as well as emailed and will have 48 hours to contact me or respond to notification or a new winner will be chosen. This giveaway is open worldwide! If you're reading this you can enter! A big thank you to Christie at Simple Organized Sanity for providing a custom planner sheet for me to review as well as for one lucky giveaway winner. This review was made possible due to my membership at The Product Review Place. The opinions shared are my own and honest and if you really need to see more, click here to see how I roll. The Around the House To Do Tracker planning page looks like it would be helpful for my hectic days at home. i love the check lists! in particular, the yearly check list would be very helpful. The menu planning goodies look helpful, especially the 14 Day Menu Sheet. I'm a fan of SOS on facebook! I follow the SOS blog through google friend connect. I am entered in the Britax Blink give-a-way. I'm entered in the KOR ONE give-a-way. Grabbed your button for my blog. I really like the Weekly Organizing Challenge and would love to give that a try. Oooh. I like the Business To Do Tracker Form. This would be great. Hi, I follow your blog #1! I'd love to have the Mileage Tracker. Hello, I follow your blog #2! Hmmm, as I'm always forgetting my passwords, I think the Password Keeper is great. Wow! These are great. I could really use the Fitness/Food Diary sheets. As unorganized as I am, I need the Household Inventory Sheet. Hi, I'm an email subscriber #2. 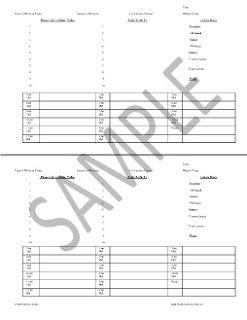 Household Project Sheet would really help me get things done. Oops, sorry. I forgot to say that I'm an email subscriber #1 on one of the previous comments. The Yearly House Checklist sounds great, and I love that they offer an Organizing for Moms Phone Session too! I like the kids chore lists! Following Simple Organized Sanity on Twitter! The around the house to do is nice! I really could use help with organizing school! I am a college student and normal daily planners just don't work for me. I'm following on twitter and tweeted! would love to try out some of the kids organizing areas ... and the 14 day meal planner and grocery list ... and ... and ... :0-) I really love this site! I entered the MeasureUp Bowls giveaway. the menu planners will help me the most. I call my hubby everyday to see what he wants would be so much easier to ahev a menu set up. It would be great to have a customized planner. I entered the Verilux giveaway. We could use some meal planning organization in our lives. 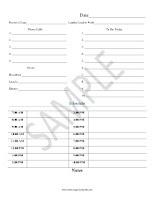 The Client Information Forms would help us. I NEED the Around the House To Do Tracker! i like the grocery planning sheets. Menu planning would be the most needed for my fam! I entered the Aurorae giveaway. I need the weekly challenge so I don't quit. 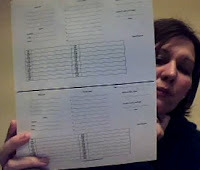 The Custom planner sheets would most help with organization in my life. I became a fan of Simple Organized Sanity on Facebook. I entered the EatSmart contest. The Around the House To Do Tracker.